Fifth and Poplar Awesome Uptown Living!! Absolutely Incredible 2 Story End Unit Condo Situated On The Top Floor-- Lots Of Windows To Enjoy The Wonderful Views! This Is A One Of A Kind Floor Plan (almost 1500 sq ft) With Many Custom Upgrades Throughout-- Wood Flooring Throughout Both Levels. Huge Open Concept--Large Living Space With Spacious, Dining Area Open To The Kitchen. Kitchen Boasts Granite, Stainless And Huge (I mean Huge!) Walk In Pantry. Upgraded Recessed Lighting Throughout Entire Condo--Second Floor Has a Large Flex Space Perfect For an Office Or Reading Nook. Master Suite With Lots Of Light, Beautiful Master Bath, 2 Large Custom Closets. This Condo Also Has a Storage Unit. New HVAC! This One Will Impress!! Unlike Any You have Seen At Fifth and Poplar! 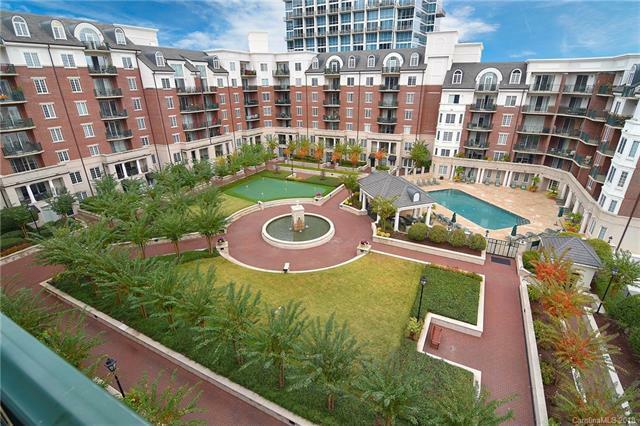 This Is a Great Fourth Ward Building With Many Amenities--24hr Concierge, Media Room, Business Center, Billiards, Putting Green, Coffee Bar, Huge Fitness Room And Wonderful Pool, Dog Park. Walk To All Uptown Has To Offer! !